CSA Group has offices in 14 countries. We have 39 offices worldwide. Our robust product expertise and state-of-the-art laboratories support broad testing capabilities and the capacity to meet aggressive project requirements. We offer expert services and custom solutions that help get your product to market while helping to ensure compliance. 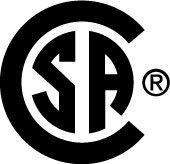 CSA Group can test, inspect, and certify your audio equipment, helping you access this highly-competitive and premium market. Rely on our specialized expertise in consumer electronics, designed to help ensure the compliance and safety of 3D printers featuring the latest in printing technology. Quickly access new markets in this competitive sector of consumer electronics with our globally-recognized testing & certification services. Get the marks you need for access to local and global markets by working with our technical experts and superior customer service staff. Boost customer confidence in your computer and recording products with the trusted CSA Group mark. Count on our specialized expertise with multi-track recorders, designed to help you ensure compliance while bringing new products to consumers efficiently. Our certification processes help ensure compliance and safety in a range of consumer electronics microphones, both cabled and wireless. Depend on our specialized expertise and excellent customer service to quickly get your products through the testing and certification process and in front of consumers. Trust CSA Group to help you confirm safety compliance of all types of products that fold and print paper. Learn how hazard-based design enables risks to be controlled rather than passively avoided, resulting in simpler product designs. CSA Group has been helping to protect people and property through the development of inclusive, high-quality standards for over a century. Find the standards you need to support the safe design and manufacture of your products.